When technology and innovation is the name of the game, JP Donovan Construction is constantly meeting and exceeding customer expectations by providing quality and innovation at every turn. Our team understands and deals with Government process, requirements and regulations on a daily basis. Whether it is a specialized building for the assembly of rockets, a clean room for the maintenance of satellites, or anything in-between; JP Donovan Construction is the experienced contractor for your project. Cryogenics deals with the production and effects of very low temperatures, below -258°F. 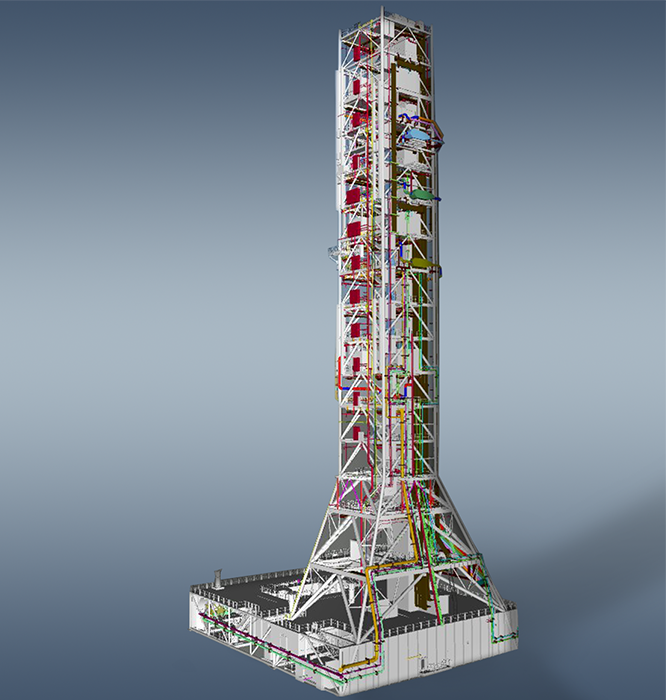 Our team of engineers have acquired expertise in the complex application of this to our recent aerospace endeavors. 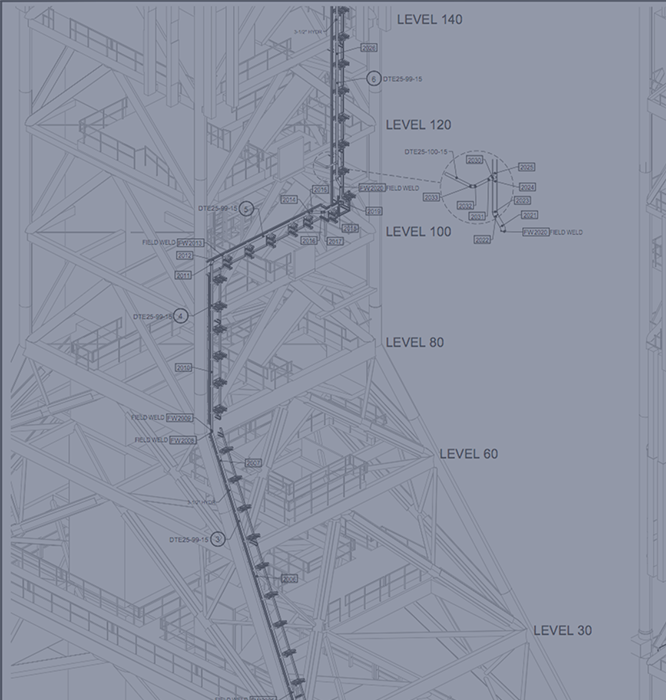 The pipes we are installing on the SLS Mobile Launcher are engineered to withstand these temperatures in order to help NASA land on Mars. As a third-generation contractor, we have an immense knowledge of construction management and specialize in new construction, additions and renovations, including multiple design build projects. 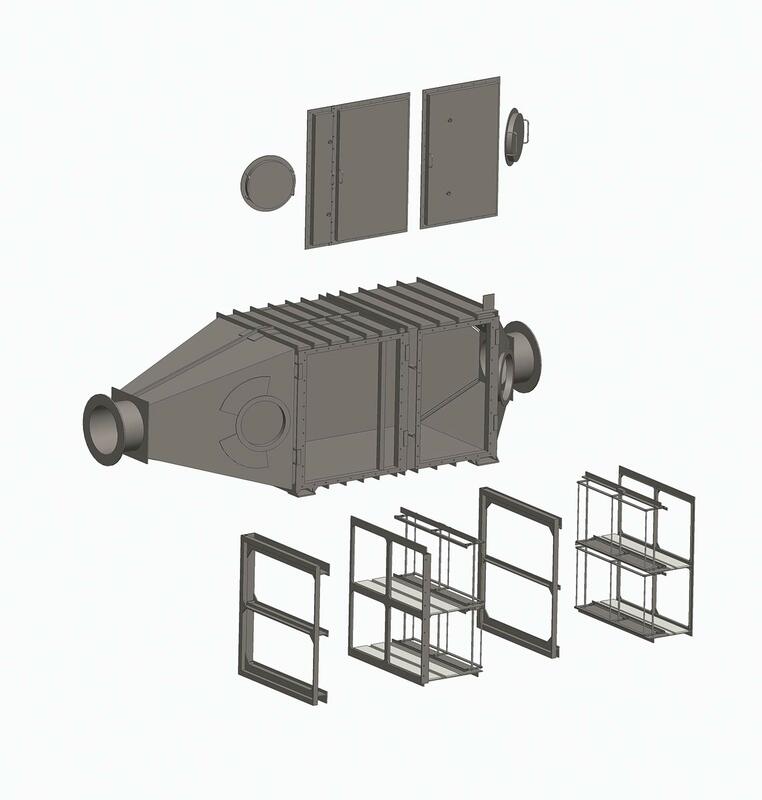 Our design/build capabilities also include a one-of-a-kind system of building components required for unique applications. Out-of-the-box thinking offers our customers a unique and skilled perspective for challenging requirements. At JP Donovan Construction, we take pride in our ability to self-perform a wide variety of project fabrication components in our AISC Certified Fabrication Shop. 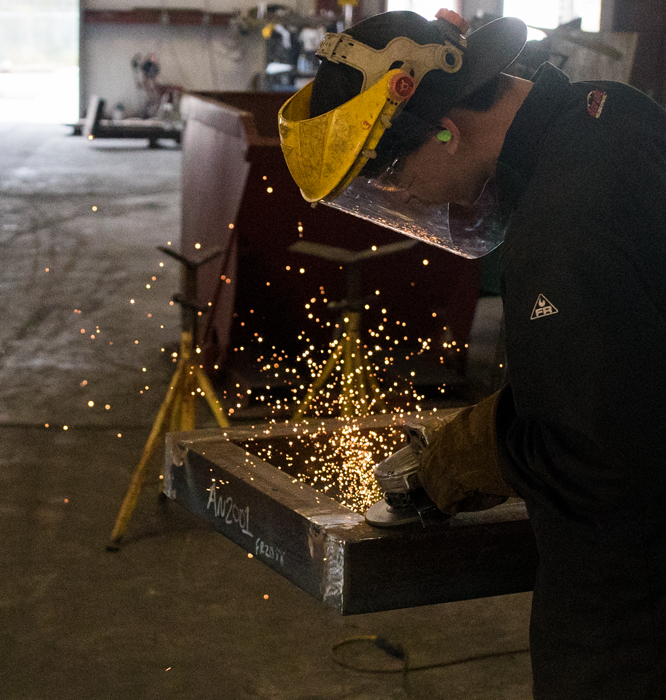 Our Fabrication shop brings Design/Build to a new level, with an in-house Structural Engineer, Welding Engineer and Certified Welding Inspector. From intricate designs to large-scale metal fabrication, the JP Donovan fabrication shop brings your project to life. 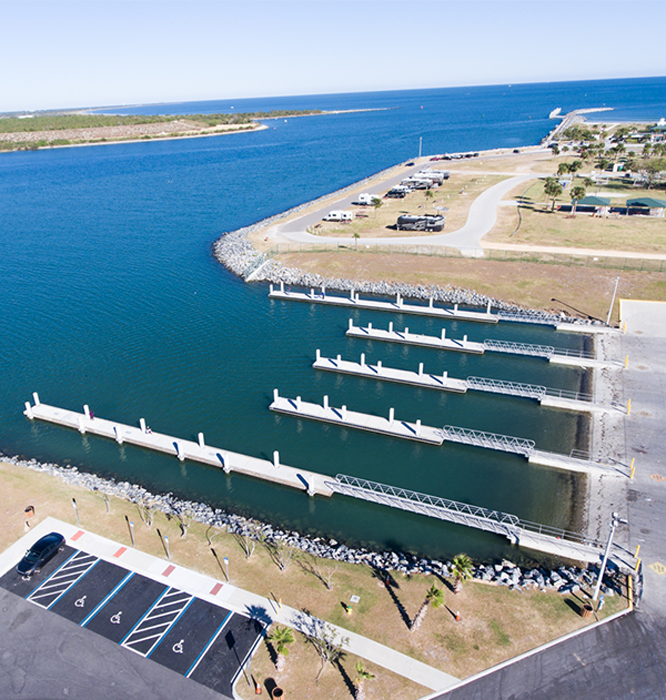 We have developed an expertise in marine repairs, new construction, and beach restoration that gives our customers the confidence of an efficient and effective project. 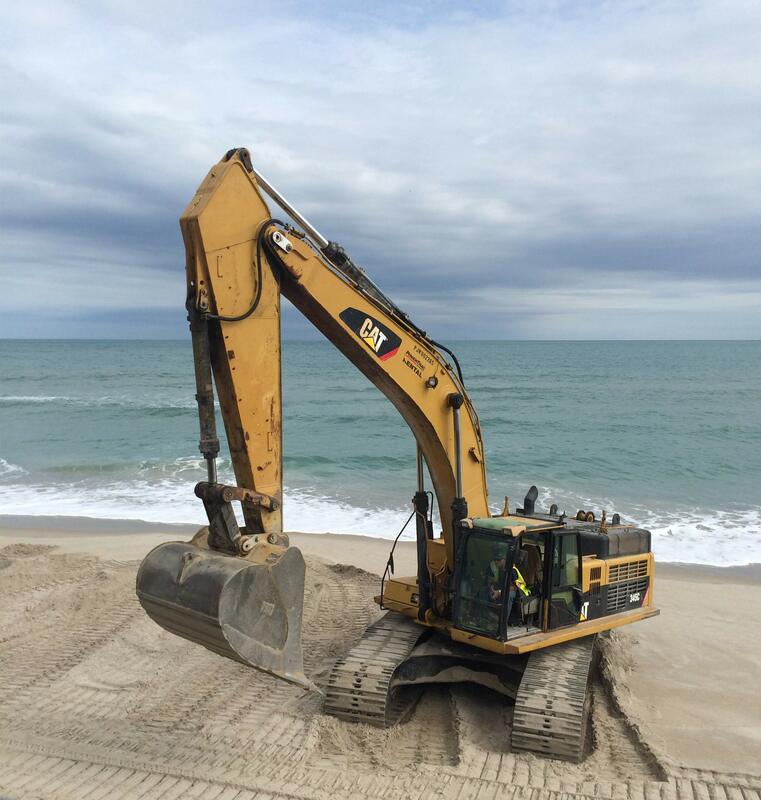 From seawalls, boat slips, dredging and beyond, JP Donovan Construction is the experienced choice for your next marine project. JP Donovan Construction believes in excellence in all projects from the ground up. The JP Donovan team provides a quality foundation for your project by self-performing all aspects of grading, utilities and site-work components. Brevard County, Florida has chosen JP Donovan Construction for a number of major roadway projects to include drainage, pedestrian walkways, and paving. 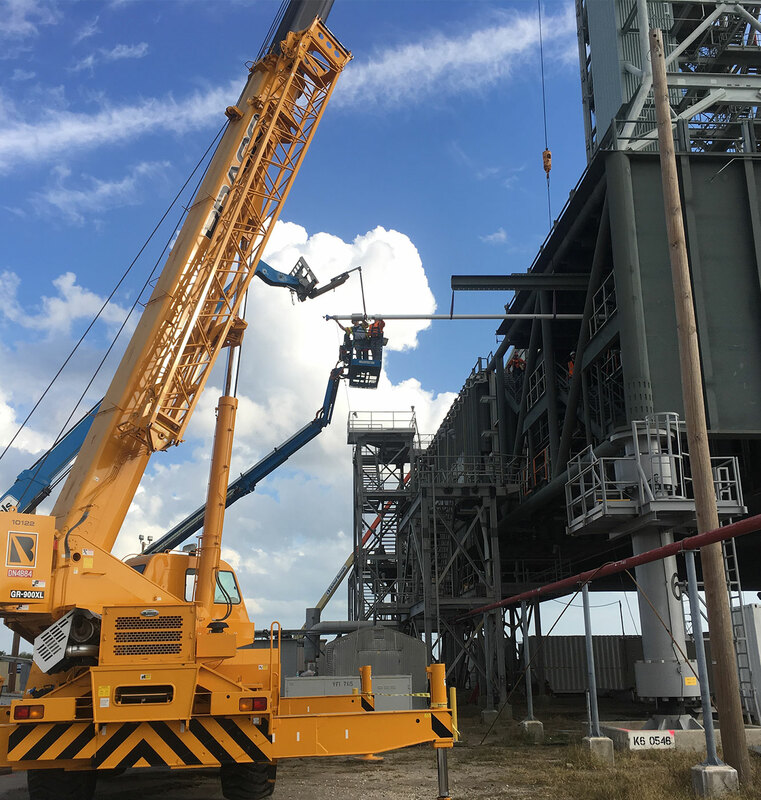 Our Civil Team has also handled the relocation and elevation of overhead utilities for Astrotech Space Operations, enabling the transport of over-sized rocket payloads from their Titusville, Florida payload processing facility to the Cape Canaveral Air Force Station. With the ability to provide top-tier engineering services internally, JP Donovan Construction strives to innovate and maintain cost-effective solutions for clients. Tackling jobs of all scopes and sizes has become our specialty and our persistence in problem solving provides great value to our customers. JP Donovan is capable of demolition on any scale. 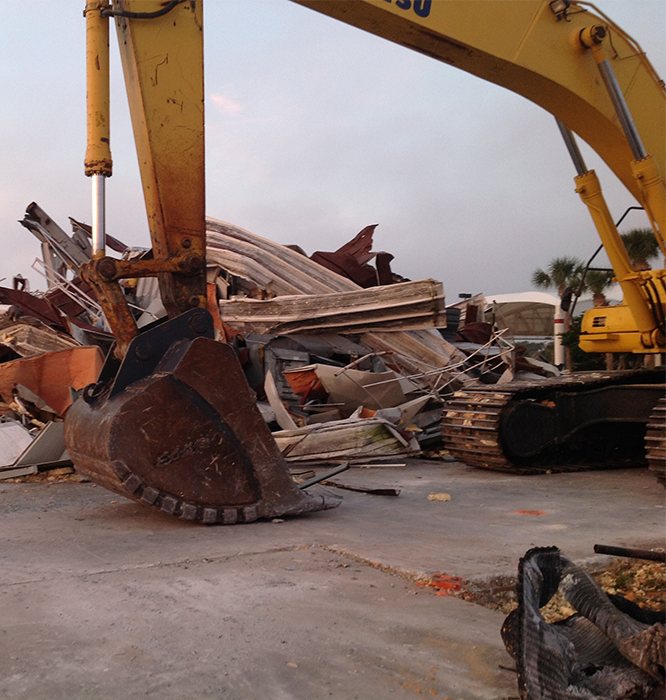 From small buildings to large steel structures, we are experts in getting the job done correctly and safely. Whether servicing aerospace, marine, industry, or civil infrastructure, we are experienced in the management and deconstruction of a wide array of projects.